one happy little crafter: The Cuties get Bling-y! Hi there, hope you are all keeping well, having been feeling 100% this week hence the reason that I am a wee bit late (5 days actually...oops!) with this post. 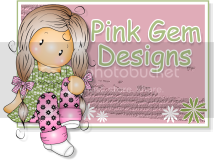 This is my own DT card for the current Cutie Pie challenge, and our theme this time is BRING ON THE BLING! and one lucky winner will receive two adorable digi images of their choice! For my own card I used "Bella with Flowers", coloured with promarkers, with an added blob of stickles to enhance the bling! The paper is from Joycraft and is also glittery too. Gems and sentiments added too. If you haven't joined in already, there is still loads to time.....hop on over, and also check out the other amazing cards from our super talented DT. 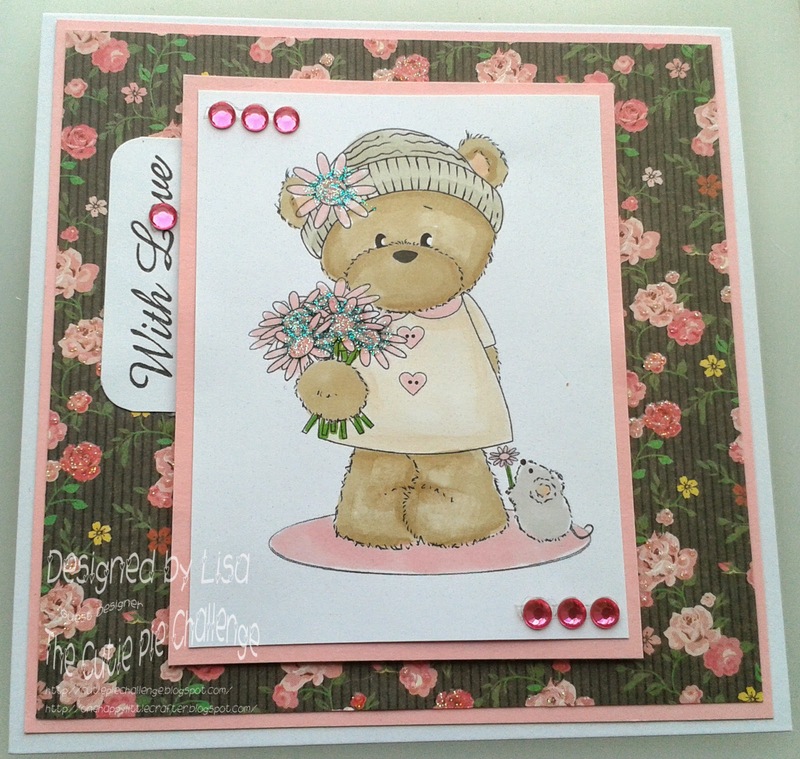 This is gorgeous Lisa, I love the cute image, fabulous colouring and beautiful papers too. Sorry to hear you have been unwell, I hope you are better now. Such a gorgeous, sweet and pretty card!